Had my first Little Syam workshop for bookbinding which is super great:) Small class about 9 students enrolled.. 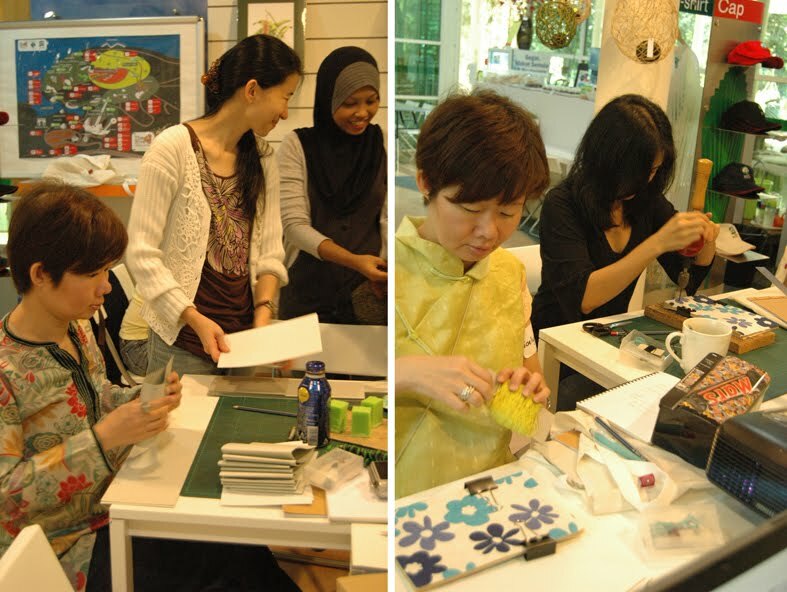 I am really happy with the overall workshop which I felt so relaxing with good students. Meet with nice people..nice venue and it is like an escapism for a weekends, learning a new skill surrounded by nature. 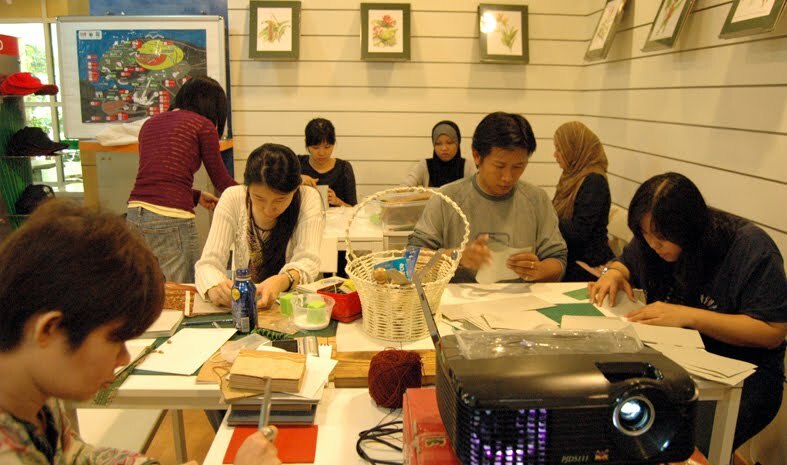 Not so sure when the next workshop yet since Ramadhan is around the corner.. perhaps on October... or could be at different venue. 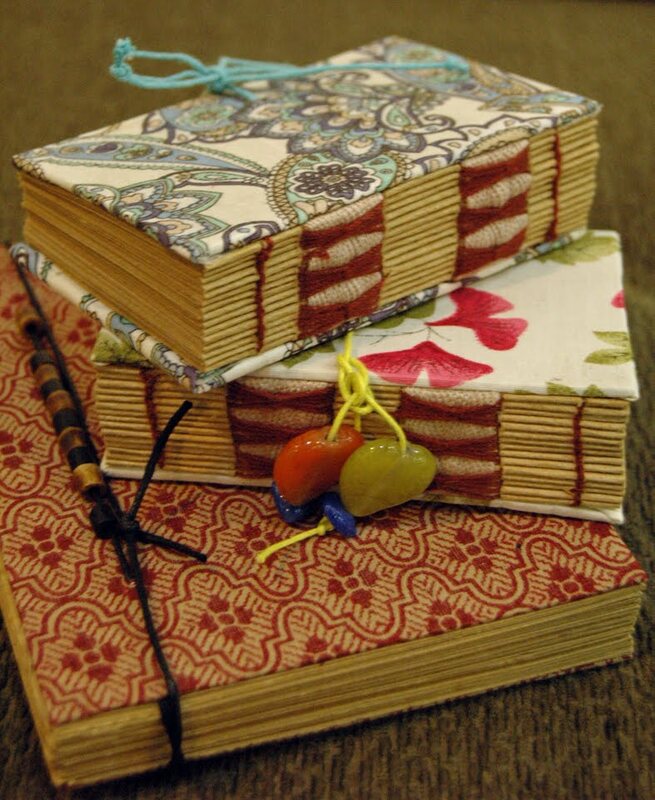 I took elective class for book binding while I study at New Zealand long time ago...It's just another skill that anyone should have..It is interesting with long history of its own. 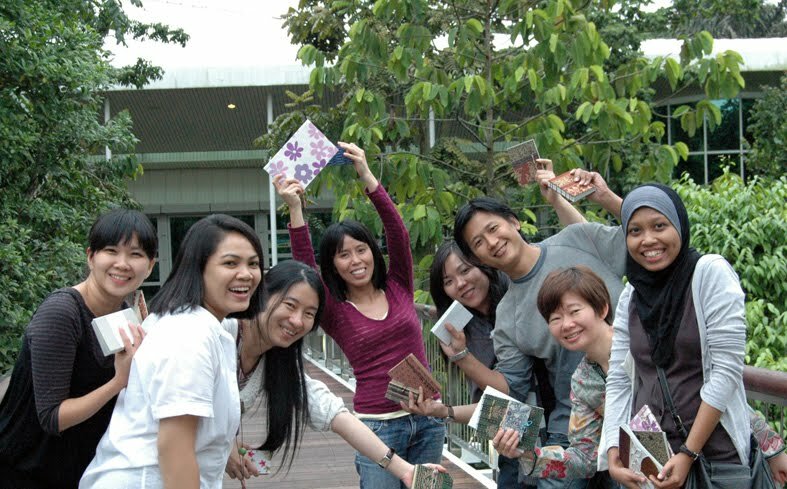 In Malaysia unfortunately no one offering it. 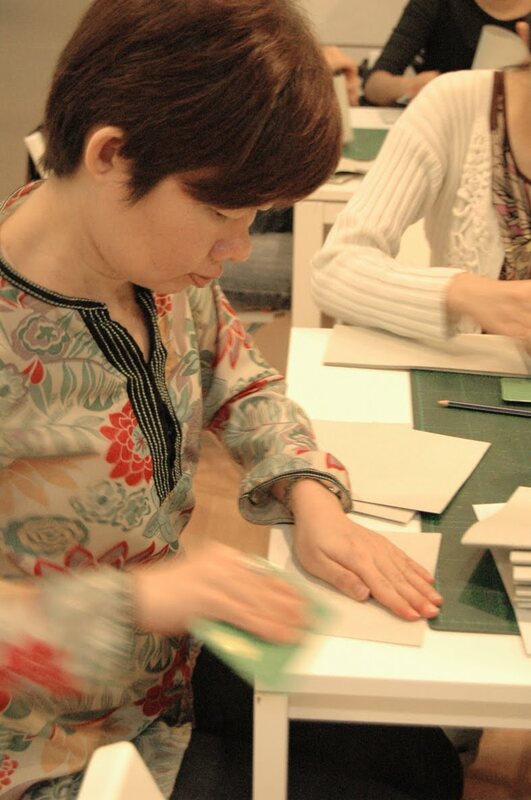 I've been teaching book binding at Dasein Academy of Art a few time and share as much as knowledge with people. The workshop at Taman Botani is my first workshop, I am thinking of doing it again..for future probably once a month. 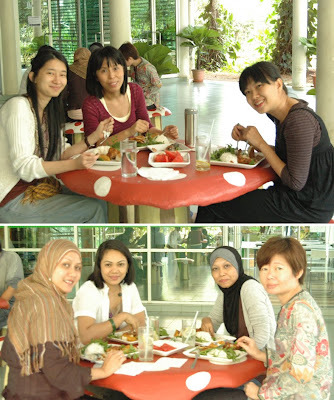 Just check my blog from time to time...ya..
Hi, Syam! I have totally fallen in love with those quaint bound notebooks!! Can you teach me? 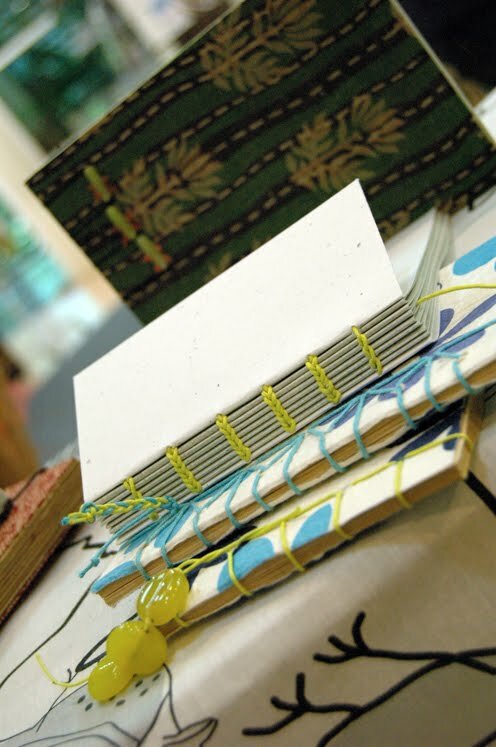 When will you have a next book binding class? Wow..you have totally inspired me!! BTW, I am not a scrapbooker. Will it be easy for a newbie to pick up? great!! if you have a workshop for kids, let me know too. I have a 10 yr old and a 5 yr old. 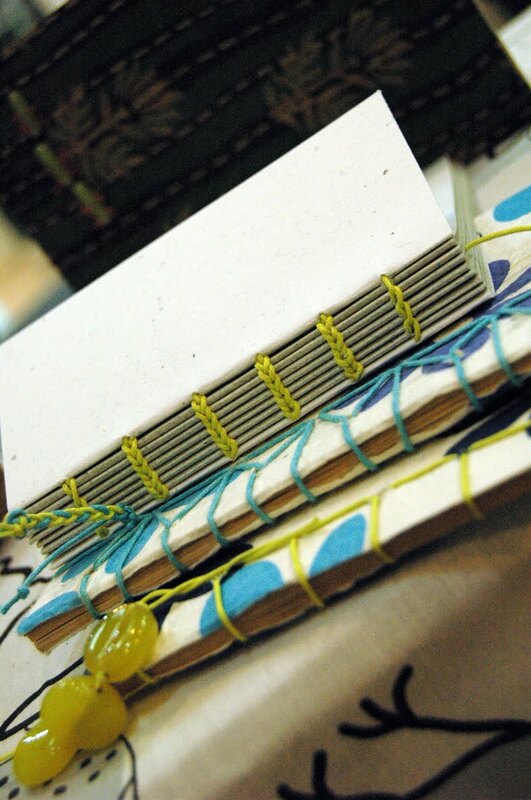 And please email me when u do have a book binding workshop coming up.